The Women’s and Men’s National Teams of Great Britain participated in the World Deaf Football Championships 2016 held in Italy between 19th June and 2nd July 2016, with the Women capturing bronze position. 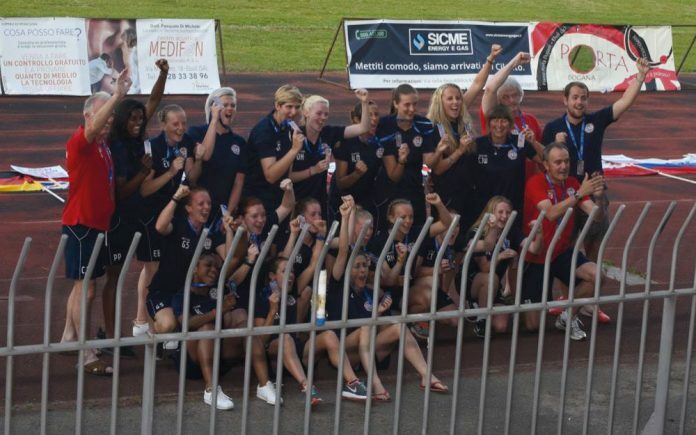 Great Britain Ladies beat Poland 2-0 in the third-place play-off, with goals from Laura Wiseman and Ceara Toal, having lost in the final minute to Russia in their semi-final. Their bronze medals are even more impressive when you consider their complete lack of funding. They operate independently, are staffed completely by volunteers, and had to launch a massive crowdfunding campaign to even get as far as the tournament. MEN’S FOOTBALL: The Men’s tournament was won by Turkey, who beat Germany 2-1 after extra time at the Dirceu stadium in Eboli, near Salerno. Russia were third. They beat Argentina 5-1 in the 3rd place play off. had beaten Italy 7-0, Poland 4-1, Great Britain 4-1 and Turkey 3-0. USA were the strongest team in the tournament, with most of their players being soccer scholars at colleges or universities or playing semi-professional. The team is coached by former U.S. women’s national team member and Women’s World Cup champion Amy Griffin. She is assisted by Joy Fawcett, who won two World Cups with the USWNT and also won gold at the Olympics.